Finally, the wait is over! One Piece Chapter 930 spoilers and raw scans have arrived. Here are the initial English translations of the leaked spoiler for this week. Before we start, please be informed that this website does not take part in the creation of the spoilers and raw scans. Leaked information mentioned in this article is found on the internet and shared here for the chapter discussions. One of the most awaited events is about to happen in One Piece Chapter 930. Yonko Big Mom and his crew have finally arrived in the Wano Country. Some of the commanders of Big Mom’s crew can be spotted on the ship, but it seems like Katakuri is missing. King, one of the big names on Kaido’s crew, has finally revealed his devil fruit. Interestingly, King is also a Zoan devil fruit user which allows him to transform into a Pteranodon, a flying-type reptile from the past. Just as what we have predicted in our previous article, Sanji will fight against Page One. 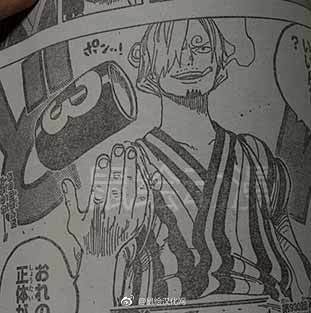 And what’s interesting is that Sanji seems like he’s about to use his Raid Suit given to him by the Germa 66. As you may have noticed, the leaked details right now are very slim. However, we will be updating this post once we got another update. As previously revealed, the official release of One Piece Chapter 930 is on January 21st along with the weekly Shonen Jump Issue magazine. The digital release is usually two or three days earlier. So, expect to see this chapter on Friday or Saturday.